In a scene that could have been taken from the movie version of “The Godfather,” four gunmen rushed into a small Italian restaurant on July 12 and shot to death Carmine Galante—the mafioso capo di tutti capi—the boss of all bosses of the Mafia. This not unusual manner of demise for a scummy gangster chieftain raised few eyebrows or roused little interest in what is part of an ongoing battle between the old Bonanno and Gallo families for control of the New York City rackets. What is interesting is a footnote in Galante’s past. 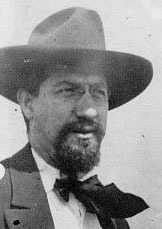 In 1943, on orders from Italy Galante was the hit man in the assassination of Carlo Tresca, the editor of an anarchist newspaper in New York. What follows is the account of the slaying by Nhat Hong from the anarchist journal, Soil of Liberty (Box 7056, Powderhorn Station, Mpls. MN 55407); it appeared in their June 1977 issue. Tresca had earned the fear and anger of both Italian fascists and gangsters by his strong attacks on and exposes of the interrelationship of both groups in his weekly newspaper, Il Martello. He was well aware of the risks involved in fighting the coalition of fascism and gangsterism in his ethnic community. At the end of an article published shortly before his death, Tresca stated, “Morris Ernst, my attorney, knows all the facts. He knows that if an anti-fascist is assaulted or killed, the instigator is Genrose Pope” (a New York racketeer). Two days before he was killed, a car attempted to run Tresca over. The same car was used in the successful murder on January 11, 1943, and here is where Carmine Galante enters. That evening, Galante had made his weekly visit to his parole officer. When he left, two policemen tailed him. Two hours later, Tresca was crossing Fifth Avenue when a black Ford, license LC-9272, pulled up beside him and a short, squat gunman in a brown coat jumped out and shot Tresca in the back and head, killing him instantly. The car was found abandoned nearby with all four doors open. Galante was pulled in for questioning but was never charged with the murder. Undoubtedly the main reason was that his sponsors were powerful enough to protect him and that the cops weren’t overly zealous in pursuing the killer of an influential anarchist. But Galante was only the punk that pulled the trigger. Not even Pope was the ultimate instigator of the assassination, as Tresca had anticipated. The order to kill Tresca had come from Mussolini in Italy because Tresca was the most-out-spoken anti-fascist in the Italian-American community and had to be silenced. To amplify on the SOL account as to the origin of the order to assassinate Tresca and its connection with the American Mafia: Mussolini had violently suppressed the Mafia in its home territory of Sicily, having correctly viewed it as a rival power to his fascist order. In spite of the repression of their Sicilian counterparts, the American Mafiosi remained patriotic to their homeland, were very proud of Mussolini and the “new” Italy, and were decidedly anti-radical, be it communist or anarchist. However, with the advent of WWII, the Italian-American gangsters were quick to express their loyalty to their adopted nation in which they had found such rich pickings. In fact, when the Americans invaded Sicily toward the end of the war, the U.S. Navy made clandestine contacts through jailed Mafia boss, “Lucky” Luciano to obtain the cooperation of the Mafia dons and in return re-established the authority of the secret society when the island had been conquered by the Allies. This was also a hedge against the communists coming to power. Still, the links to the old country remained in spite of the War. The direct connection between Mussolini/Galante/ Tresca came as a result of Carlo Gambino, the model of Mario Puzo’s “Godfather,” who, like his movie counterpart, had to flee the U.S, after the slaying of a cop. Upon his arrival in Italy, Gambino gave Mussolini a gift of $100,000 and asked if there was any favor he could do for the dictator. The Duce replied that there was an anarchist in New York City who caused much trouble for Italy by his “lies.” Mussolini and Gambino both agreed that it would be best if the source of the problem was eliminated. Galante was a capo in the NYC Gambino family who functioned as an enforcer. The Mafia are scum—businessmen with guns who prey on the working class and poor, protected by the cops and politicians—so Galante’s death is a fitting one. But Tresca’s murder is not avenged; the taking of a life of someone with a vision of a world without exploitation and oppression does not compare with death of a human cockroach like Galante. Still, good riddance to bad rubbish.